As diplomatic relations between the United States and Cuba slowly normalize, foreign culture is breaching the island and making a profound impact. 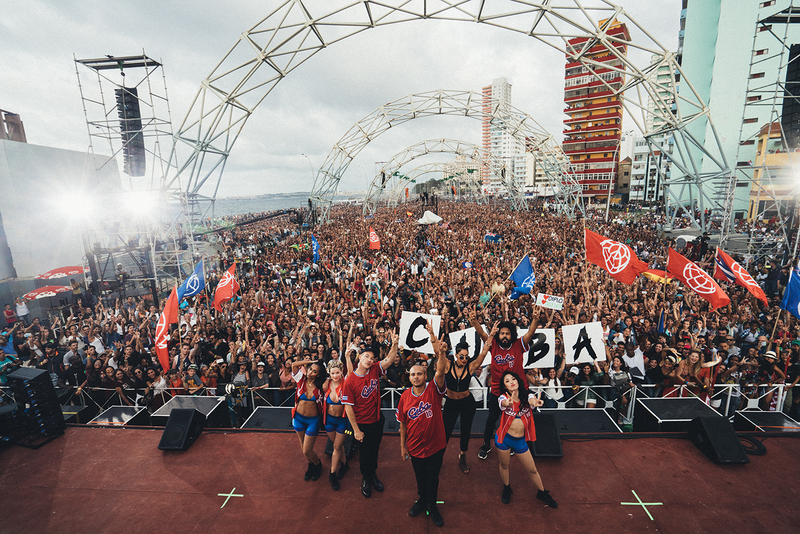 Major Lazer is the first major American act to perform in Cuba since the US Embassy reopened last year. The trio, led by DJ/producer and Mad Decent founder Diplo, has found huge success worldwide in recent years, notably with their 2015 single “Lean On” with DJ Snake and MØ, which Spotify has recognized as the most streamed song of all time. Major Lazer opened their set with the Fania classic “La Murga” by Willie Colón & Héctor Lavoe. There was an electric feeling in the crowd of roughly 400,000 Cuban music fans, many of whom had never experienced an event like this. The concert was certainly a monumental moment in the restoration of U.S.-Cuba relations. We are proud to work with both Mad Decent and Fania, and love to witness their testaments to the undeniable power of music.